I recently treated myself to a metal detecting holiday to the area around Colchester, England. This was a reprise to a trip I made to the UK in 2010 in search of Celtic gold. Gold was not in the equation for that trip, but I did find the oldest coins and artifacts I have ever found.... as in 2000 years older than anything I have found before! Colchester has history reaching back into prehistoric times, and is generally acknowledged as the location of Britain's first city. Celtic tribes were active in the area, leaving behind many Celtic gold coins to be found by modern day detectorists. The Romans were also very active in the area, as were other invaders, leading to finds from many cultures across the centuries. I made a return visit to Colchester in 2018, this time relying heavily on the new Minelab Equinox metal detector as my detector of choice. I also had the opportunity to use the new Minelab Equinox 15" x 12" DD coil while on this trip. Not only did I have a very successful trip, but I got to observe other great finds made by the other detectorists in the group. All in all this was a very exciting metal detecting experience that I enjoyed thoroughly. The links below outline both my own experiences and the same trip told from the perspective of another person on the same adventure. Steve Herschbach finds ancient UK gold! The XP metal detector company has announced a new model for late 2018 called the XP ORX. This new model appears to be a refined version of the XP manufactured Depar DPR 600. The DPR 600 was made to take advantage of the African gold rush by offering a model designed primarily as a gold prospecting detector with other uses taking a back seat. I personally think the Depar DPR 600 was used as a proving ground for the new high frequency (HF) coils while also offering an opportunity to fine tune the Gold Field program. My expectation all along is that XP would eventually release a similar model for sale outside of Africa. It looks like after almost two years that new refined version of the DPR 600 is available for purchase as the XP ORX. This introduction is so new that information at this time is limited - everything here is subject to change as new details emerge. For now what we know for sure is that the XP Orx will be available in two configurations. The versions are basically the same, with a wired headphone version for 700 Euro, and a wireless headphone version for 800 Euro. U.S. pricing is unknown at this time but $799 and $899 is probably in the ballpark. You can choose either the 9" round HF coil or 5" x 9.5" elliptical HF coil. There is no exact word on availability yet, but presumably we will be seeing this model available for purchase in early 2019. HF coil technology (21 Frequencies ranging from 13 to 81kHz). Extreme sensitivity to small targets with high frequency 50kHz and 81 kHz. 4 factory programs: Gold Prospecting (x2) – Coins and Relic (x2), + 2 user. Trusted XP fast wireless technology: Coil – Remote – Headphones – MI-6. The all new “WS Audio®” compact wireless headphone receiver. Re designed ultra-light Telescopic “S” stem. The lightest machine on the market at only 770grs (remote hip mounted). Easy to operate with a user-friendly interface. Wireless connectivity to the MI-6 pinpointer + advanced remote settings. Lithium batteries, giving up to around 20 hours of detecting. Easy to charge with any certified USB charger or via computer (XP USB charger optional only) Available with a choice of HF coils – 22cm (9") Round or 24/13cm (9.5"x5") Elliptical. Compatible with the X35 coil range (22, 28, 34/28cm). Software Update (remote control via USB cable). Go terrain mobile app compatible (coming 2019). 5-year warranty – Made in France. Affordable price – Suggested maximum retail price: 699€ including taxes – 799€ including taxes with wireless headphone (WSA). Note that the upper armrest area of the rod has been redesigned and is different than the existing Deus rod assembly. 50 levels of sensitivity Audio tone from 120 Hz to 1582 Hz 2 audio modes: PITCH or PULSE 3 factory + 1 user program Recover a lost MI-6 (even when switched off) Target zoom screen Battery life indicator I don't think there is much mystery here except for how many people will opt for this new model versus the new X35 coil based Deus models. In my opinion by extending the top end frequency of the new X35 coils to 28 khz has inadvertently removed some of the demand for this higher frequency version. Small gold sensitivity gains over 30 khz are quite minimal and with the extra features the Deus offers many people may continue to prefer it as their detecting solution. A lot may boil down to the price difference between a 9" round X35 Deus package and the 9" round HF Orx package. No matter what I am very confident this new high frequency XP model will do very well for gold prospecting. I do not expect performance to be any different than that I observed while testing the XP Deus with elliptical HF coil on small gold. Forum Threads Tagged "xp orx"
XP ORX Technical Specifications* Internet Price estimate $799 wired headphones or $899 wireless headphones Technology Induction Balance (IB) Frequency 14, 28, 56 kHz (round 9") or 14, 28, 70 kHz (elliptical) Autotune Mode(s) Multiple "Reactivity" Settings Ground Rejection Grab, Manual, Tracking Soil Adjust No Discrimination Variable, Visual ID, Tone ID, Notch Volume Control Yes Threshold Control Yes Tone Adjust Yes Audio Boost Yes Frequency Offset Yes Pinpoint Mode Yes Audio Output 1/8" headphone socket & speaker, wireless headphones Hip Mount Yes Standard Coil(s) 9" round DD or 9.5" elliptical DD Optional Search Coils new X35 coil series Battery Built In Rechargeable Operating Time 20 hours Weight 2.0 lbs Additional Technology Wireless coils, control box, headphones; firmware updates via internet Notes Probably based on "Africa Only" Depar DPR 600 *Notes on Technical Specifications - Detailed notes about the specifications listed in this chart. This section focuses on gold prospecting for individuals and small time operators. Equipment used may include metal detectors, suction dredges, gold pans, and sluice boxes. You will find articles here to help you for both beginners and pros. There is location information, equipment reviews, and more. DetectorProspector Forums - Forums on metal detecting for gold, gold panning, rocks & minerals, gold dredging, geology, plus coin, relic, jewelry, and meteorite detecting. Gold Prospecting & Metal Detecting Guides - Basic information to get you started. Steve's Guide to Gold Nugget Detectors - updated now for over 20 years, Steve gives honest opinions regarding various metal detectors past and present. Steve's Reviews - Equipment reviews focused on metal detectors for gold prospecting, much more in depth than the previous summary. Recreational Mining Sites, Parks, Museums, etc. - Locations available to the public to look for gold and other rocks & minerals. State Specific Information - General gold locations, geology, and history. Steve's Mining Journal - Real life gold prospecting and metal detecting stories spanning over 40 years. Mining Claims For Sale in Alaska - Mining claims and leases in Alaska that are being offered for sale. Gold Prospecting & Metal Detecting Library - Online books and other reference material about gold prospecting and metal detecting. 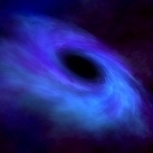 Links To Other Websites - Links to other websites and forums with relevant information. Metal Detector Database - Metal detector feature and specifications database with user reviews. The White's Goldmaster 24K has been announced and has just started shipping to customers. The Goldmaster 24K is an alternative to the White's GMT updated for the 21st century, with advanced ground tracking technology and increased power. XGB technology is a patent-pending automatic ground balance system. It is purpose-built for operating a high-frequency VLF gold nugget detector in the worst ground conditions. Traditional VLF detectors struggle to balance rapidly changing ground mineralization. Historically this has been where Pulse Induction machines fared much better. With XGB technology, the Goldmaster 24k is able to track small changes in soil composition as well as longer-term shifts in both ground phase and strength. This allows it to operate in ground that traditional VLFs struggle in. Users have extended control over the range of XGB in the Goldmaster’s All-Metal mode. Simply enable Iron Cancel to expand the ground filter in moderate soils. In very challenging soil conditions, hold the Iron Cancel button and select the 2-bar setting for maximum performance in variable ground. The new White's Goldmaster 24K also features a full backlit LCD target id screen and control suite. The potential target id is displayed on the screen whenever possible - the higher the number, the better the chance of a non-ferrous target. There is dual tone capability that reports a low tone for ferrous objects, and a high tone for all non-ferrous targets. "When our engineers set out to build the GM24k, the goal was simple: improve the user’s chance to find gold without hurting their wallets. The obvious way to achieve this goal is increased sensitivity. The GM24k features a 54% increase in coil voltage over the GMT. You will see this in increased sensitivity to small nuggets. While testing this machine in Brazil, this was shown in a tiny, 0.4 grain crystalline nugget we found encased in quartz. In some cases this much power can be counter-productive if the ground is very challenging, so use it with caution! Even at lower gain settings the GM24k is an extremely “hot” machine on small gold and specimen nuggets." The new White's Goldmaster 24K comes with both rechargeable batteries and a holder for AA batteries. The GMK comes standard with the 6" x 10" DD search coil. Currently the is one accessory coil available, a 6" round concentric coil. Both a 14" x 8" DD and 6" x 4" DD coil are possible in the future but have yet to be offered for sale as of March 2019. Forum Threads Tagged "whites goldmaster 24k"
White's Goldmaster 24K Technical Specifications* Internet Price $729 Technology Induction Balance (IB) Frequency 48 kHz Autotune Mode(s) Variable Self Adjusting Threshold (V/SAT) Ground Rejection Tracking & Fixed w/Grab function, Ground Balance Offset Soil Adjust No Discrimination Visual & Audio Ferrous ID Volume Control Yes Threshold Control Yes Tone Adjust No Audio Boost Yes Frequency Offset Yes Pinpoint Mode Yes Audio Output 1/4" headphone socket & speaker (Headphones Included) Hip Mount Shaft Mount Only Standard Coil(s) 6" x 10" DD Coil standard Optional Search Coils 6" round concentric coil Battery Rechargeable NiMH plus Eight AA Pack Included Operating Time 20 - 40 hours Weight 3.5 pounds Additional Technology XGB Ground Tracking Technology, Ground Scan mode for tracing black sand deposits, Meter backlight Notes IP54 Rain & Dust Resistant *Notes on Technical Specifications - Detailed notes about the specifications listed in this chart. The biggest challenge we face as electronic prospectors is highly mineralized ground. Simply increasing the gain on the current VLF platforms might help prospectors in very mild ground conditions, but what about more difficult areas with concentrations of black sand, maghemite, serpentine, or alkali salts? On a trip to Brazil we witnessed a combination of these conditions, with soil that ranged from red to black to purple, and exhibited a combination of ferrous and alkali properties within a 4 ft square section. We saw first-hand VLFs from each manufacturer fail to balance out the combination of minerals. Even the top-of-the-line pulse induction machines struggled in this area - machines which cost the garimpeiros (the local term for gold miners) several years’ wages. Our goal was simple: a nice even threshold in challenging ground conditions without giving up sensitivity. The theory is that the main battle most electronic prospectors fight is being able to discern a potential gold signal from ground noise. A smooth threshold would allow users to use more gain and increase their odds of finding small gold where it likes to hide - in mineralized ground. The issue with other VLF detectors on the market is that they were tracking a single ground balance point. When the ground type changes quickly, the machine gives off a false signal. For a user the result is ear fatigue, frustration, and less positive signals dug. One easy way to mask variable ground is implementing an auto-gain feature that automatically numbs the detector. This does not solve the issue, only hides it. The Goldmaster 24k’s XGB is a new automatic ground tracking system that works by tracking multiple ground points simultaneously and quickly. Where other VLF’s track one ground balance point, the Goldmaster 24k tracks several, and can determine an optimal “ground window” based on ground history and strength. This is very useful in rapidly changing ground conditions, where other VLF machines may struggle to track the mineralization changes. Combine this with the speed at which the Goldmaster 24k is able to grab ground samples, and you have a superior ground balance system for a prospector’s VLF. With any automatic process, there are some concessions. Take vehicles for example - manual gearboxes are still preferred by car enthusiasts. That’s why we felt strongly about including a TracLock® ground option. When used with the Ground Grab, a locked ground balance setting allows users to set the ground balance in an area and lock it until they need to re-ground balance. For users after the tiniest bits of gold, this option allows for the maximum sensitivity to small signals. One technique we observed from field testers was allowing the XGB to automatically track, and then after getting a solid hit or finding a patch, locking the ground balance for target location and retrieval. For many users this combination will be the best of both worlds - the strength of XGB, but only when you need or want it. The net result of an overhauled automatic ground balance system is a VLF gold nugget detector that can be used in wider variety of ground conditions with a nice stable threshold. Operating a machine with a smooth threshold allows for a user’s ears to tune into those slight variations that just might be the next nugget. Our goal is that our customers are able to have success with the Goldmaster 24k in areas that other VLF’s struggle, and at a price that allows more people to get a taste of electronic prospecting. From the earliest time when we were aware of our surroundings, most of us looked for pretty rocks. We wondered what interesting or valuable minerals might possibly comprise them. Now as adult hobbyists, I doubt if any of us hasn’t benchtested an interesting rock from curiosity, and wondered what actually produced the signal. Although a sensitive benchtest usually has little in common with how marginally conductive rocks and minerals respond to metal detectors in the field due to ground effects, we can learn and become familiar with how rocks and minerals in our respective areas respond to metal detectors in a benchtest. 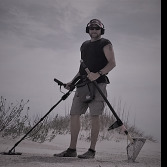 A sensitive metal detector’s electromagnetic field penetrates rocks, usually generating either a positive or a negative signal in response to whatever material is in the rock. We can sometimes determine whether such signals should be investigated further, or whether worthless iron minerals produced them. I’d generally describe my benchtest results as worthwhile and informative, but that notwithstanding, I look forward to doing a benchtest because I think it is an intriguing study on its own merit. That said, how do you conduct a benchtest? I’ll describe my methods and hopefully we’ll see what you think about it. Benchtesting ideally requires a visually displayed, fully calibrated, manually adjustable ground balance that covers the entire (soil) mineral range from salt to ferrite. As a minimum, the detector should feature a threshold-based true motion all-metal mode, and preferably an additional true non-motion all-metal mode for significantly improved sensitivity to borderline samples. Visual displays in either of the true all-metal modes are essential for target ID, Fe3O4 magnetic susceptibility and GB readouts. I prefer a small (concentric) coil to promote detector stability and improve sensitivity to the rock sample, to ensure uniform sample exposure to the coil, and to minimize EMI (electromagnetic interference) especially if benchtesting at home. Elevate the sensitivity control as high as possible while maintaining reasonable detector stability such that you can clearly hear changes to the threshold. To check for a target ID, move the sample back and forth across the coil at a distance that produces the best signal but does not overload the coil. To determine ground balance and Fe3O4 readouts, advance the sample toward the coil, back and forth to within an inch or two (depending on sample size and signal strength) of the coil’s electrical sweetspot. Ensure your hand does not come within detection range of the coil to avoid creating false signals. If you extend your fingers to hold the sample, this is not an issue when testing larger samples. If necessary use a plastic or wood food holder that can firmly grasp small samples. Benchtests should be conducted utilizing a minimum of two widely diverse GB control adjustments. Initially I prefer the same GB control adjustment that is typically required to keep my detector ground-balanced to the substrates in my prospecting areas. It’s a personal preference that works for me. That particular GB control point (F75 / GB86) is more likely to improve any rock or mineral sample’s signal strength compared to using a more reduced (more conductive) GB compensation point. The next step is to use a dramatically reduced GB control adjustment (F75 / GB45) as suggested by Fisher Research Engineering. This setting ensures that (obviously weathered) oxidized samples do not generate a positive signal from any type of non-conductive iron mineral inclusions, particularly maghemite mineralization that may be present within such rocks. It follows that this second benchtest will, if anything, slightly subtract from the sample signal strength, particularly with low grade and otherwise marginally conductive samples, compared to the first step of the benchtest at GB86. As a general rule, I do not recommend the F75 / GB45 compensation point for benchtesting (non-oxidized) mafic samples that are dominated by constituents such as common magnetite or other black minerals that normally support highly (non-conductive) elevated GB readouts. Such samples can produce strong negative threshold responses at the reduced GB compensation point. It will be difficult or impossible for the signal from a marginally conductive substance to successfully compete with those negative threshold signals. For non-oxidized samples Fisher Research Engineering suggests using F75 / GB65 rather than the F75 / GB45 compensation point, since obvious iron mineral oxidation should visually be absent from such samples. With the above discussion in mind, extremely fine-grained, unweathered magnetite that occurs in pyroclastic material (for example volcanic ash) can drop into the GB45 range, but it is extremely rare. Unweathered volcanics do frequently drop into the GB70's due to submicron magnetite, but the recommended F75 / GB65 compensation point will eliminate those positive signals. The arsenopyrite sample depicted above is a good example of a commonplace mineral that we encounter in the silverfields of northeastern Ontario. Generally field examples could be described as marginally conductive and many are low-grade. A good many react with only a mild positive signal, and sometimes not at all to a benchtest depending on which GB compensation point is used. The high-grade, solidly structured sample above produces a strong positive signal in either zero discrimination or true motion all-metal mode with the ground balance control adjusted to the GB compensation point required for our moderately high mineralized soils. As noted, that’s approximately F75 / GB86, although in the field, of course, it varies somewhat depending on location and coil type / size employed. The response is not as strong as a similar size and shape metalliferous sample would produce, but it does generate a surprisingly strong benchtest signal that would be readily detectable in the field. Even with the GB control dramatically reduced to more conductive values (F75 / GB45), to ensure that any positive signals produced by non-conductive iron mineral inclusions should now only produce a negative threshold signal, it is no surprise that this (non-oxidized) specimen continues to generate a strong signal. For those readers unfamiliar with detector responses to such minerals, the same general response scenario described above with arsenopyrite applies to other marginally conductive minerals such as galena, pyrrhotite and to a lesser extent even iron pyrites. Ordinary iron pyrites is generally innocuous, but maghemitized pyrite, pyrrhotite, and the copper sulfide ores, particularly bornite and chalcocite, can be a real nuisance in the field due to magnetic susceptibility, magnetic viscosity, and / or electrical conductivity, just depending on what minerals are involved. Such variable responses from arsenopyrite and many other mineral and metalliferous examples clearly infer that signal strength and potential target ID depends on a sample’s physical and chemical characteristics, including the quantity of material within a given rock. These factors include structure, size, shape, purity (overall grade), and magnetic susceptible strength of iron mineral inclusions. Moreover, the VLF detector’s sensitivity, the GB compensation points employed, the coil type and size, and the sample profile presented to the coil further influence benchtest target signal strength and / or potential target ID readouts. Incidentally, neither of my PI units will respond to the arsenopyrite sample depicted above, even with a TDI Pro equipped with a small round 5” mono coil, the GB control turned off, and a 10 usec pulse delay to deliver its most sensitive detection capability. That result is typical of most, but certainly not all sulfides and arsenides that occur in my areas. Higher grade and solidly structured pyrrhotite, an unwelcome nuisance iron sulfide, and collectible niccolite, a nickel arsenide, are commonplace mineral occurrences here that do respond strongly to PI units, although their respective VLF target ID ranges are quite different. As a related but slight diversion, the photo below depicts a handsome example of the widely occurring mineral sphalerite. It forms in both sedimentary beds, and in low temperature ore veins. It is interesting to collectors because it possesses a dodecahedral cleavage which means that it breaks smoothly in twelve directions, and it is usually triboluminescent, meaning that it gives off a flash of light when struck sharply. Like many desirable minerals lurking in prospecting country, unfortunately sphalerite doesn’t react to metal detectors. The foregoing is intended to illustrate that sensitive metal detectors can be utilized as a supplementary tool to assist with evaluating rocks and minerals. There is no question that the benchtest has serious limitations, particularly if trying to distinguish positive signals produced by some types of iron mineral inclusions from weak conductive signals. That notwithstanding, a positive signal that persists below the F75 / GB45 compensation point cannot be confused with iron mineral negative threshold signals produced at that same compensation point. Therefore a positive signal merits further investigation. Such signals are almost certain to be generated by a marginally conductive mineral or a metalliferous substance. On the more interpretive side of a benchtest, we need to point out that weak positive signals from lower-grade samples of minerals such as arsenopyrite, galena, pyrrhotite, chalcopyrite, and doubtless a few others, may disappear well before the GB control is reduced to the F75 / GB45 compensation point. We learn early that benchtests are frequently equivocal and require interpretation based on any further evidence that might support the benchtest result. Look for iron oxidation in addition to structural or other physical evidence as described above that could explain why a sample reacts as it does to a metal detector. This article was promoted to an article from a forum thread. Additional information may be found there in follow up posts. Introducing the Makro Gold Kruzer metal detector, new for 2018. The Makro Gold Kruzer is available now from select dealers. The 61 kHz Gold Kruzer breaks new ground by being the lightest weight highest frequency waterproof detector on the market. Be sure and read the detailed review by Steve Herschbach at the bottom of this page below the specifications list. The Makro Gold Kruzer comes standard with a 10" x 5.5" concentric coil plus a 4" x 7.5" DD coil and has one optional coil available at launch. The Gold Kruzer has proprietary 2.4 Ghz wireless headphones included. The big announcement of note however is the very high 61 kHz operating frequency, making this one of the hottest machines available on tiny non-ferrous targets, and the only one waterproof to over 5 meters (16.4 feet). There are already a number of detectors on the market operating in the over 40 kHz region and the basics of this high frequency detection have been covered well for at least twenty years. In other words, if all a person wants is a detector running in a high frequency threshold based all metal mode, there are quite a few options to choose from. What makes the Gold Kruzer interesting is that as far as I can recall, nobody has made a detector before where the primary design intent is jewelry detecting. More to the point with the Gold Kruzer - detecting for micro jewelry. Micro jewelry has no exact definition but basically just means very small, hard to detect jewelry. Things like thin gold chains, or single post earrings. Most standard coin type detectors are weak on these sorts of small targets, if they can even detect them at all. Up until now people had to choose between coin detectors that have the features but are weak on micro jewelry targets, or use dedicated gold prospecting detectors hot on small targets, but very limited in features. What that usually means is little or no discrimination features. Makro has gained attention as a company that listens to its customers. The new Gold Kruzer model is the perfect example of that, creating a unique machine based almost solely on feedback provided by customers in the last couple years. The Micro Mode on the new Gold Kruzer is a direct nod to those who want a detector for hunting micro jewelry and possibly even for gold prospecting, but who do not wish to give up the features available on most detectors today. In fact, Makro goes a step beyond, with the Gold Kruzer sporting features not included on many detectors today. These would include being waterproof to ten feet of more (16.4 feet with the Gold Kruzer), built in wireless headphone capability, and the ability to receive firmware updates via the internet. The result is a new detector with a unique feature set. There is literally no other detector made right now operating over 40 kHz that is fully submersible. Built in wireless and internet updates are frosting on the cake. Forum Threads Tagged "makro kruzer"
Makro Gold Kruzer Technical Specifications* Internet Price $749 Technology Induction Balance (IB) Frequency 61 kHz Autotune Mode(s) iSAT Intelligent Self Adjusting Threshold Ground Rejection Grab, Manual, & Tracking Soil Adjust Yes Discrimination Visual ID & Tone ID, Tone Break Adjustment Volume Control Yes Threshold Control Yes Tone Adjust Yes Audio Boost Yes Frequency Offset Yes Pinpoint Mode Yes Audio Output Speaker & Waterproof Headphone Socket Hip Mount Shaft Mount Only Standard Coil(s) 10" x 5.5" Concentric & 4" x 7.5" DD Optional Search Coils Yes Battery LiPo Rechargeable (optional external AA pack available) Operating Time Up to 19 hours Weight 3.0 pounds Additional Technology iMask noise suppression technology, backlit screen, save settings Notes Includes 2.4 Ghz wireless headphones, waterproof to 5 meters (16.4 feet) *Notes on Technical Specifications - Detailed notes about the specifications listed in this chart. I was asked to review a new gold detector in the fall of 2014 from a company I had never heard of before then – the FORS Gold by the Nokta company based in Istanbul, Turkey. I was pleasantly surprised to find the Nokta FORS Gold to be a very capable 15 kHz VLF detector that could serve well not just for nugget detecting, but almost any detecting tasks. The FORS Gold did have some odd design quirks, like the use of mechanical rocker switches instead of touch pads. I listed a few of these things, expecting that would just be the way it is. I was almost shocked when within a short period of time Nokta fixed or changed every item I had mentioned in my review as possibly needing improvement. This was unusual as normally once a machine has gone into production manufacturers are extremely resistant to design changes, especially changes in the physical design. It was a sign of what people have now found to be fact – that this company is serious about listening to their customers as a prime driver for product improvement. It was revealed that Nokta had a sister company called Makro, and the two officially combined forces shortly after I made my review. In other words, both Nokta and Makro now share the same ownership and management, but continue to be marketed separately under the two brand names. The detector models that each sell are unique, but there is an obvious sharing of the underlying technology between some models that the two brands sell. I had commented at the time that I would prefer a more standard configuration for a LCD based detector rather than the non-standard configuration as presented by the FORS Gold. By the fall of 2015 I was using the new Makro Gold Racer, which incorporated many ideas I had lobbied for over the years with detector manufacturers. I had been trying for some time to get somebody to create a metal detector that ran at nugget detecting type frequencies over 30 kHz but with a full target id system. It seems strange now but at that time nobody made such a detector. The Makro Gold Racer was quite unique in 2015 by offering a detector running at 56 kHz that also offered a full range LCD based target id system and dual tone based audio discrimination modes. This made it a detector useful not just for nugget detecting, but low conductor hunting in general for relics and jewelry. It is even a halfway decent coin detector for regular park type scenarios. The versatility and well thought out control scheme scored points with me, and I still have the Makro Gold Racer even after selling most of my other detectors. It seems that the moment the Makro Gold Racer hit the streets, that everyone else was working on similar ideas, as other detectors running over 30 kHz but with a full feature set started to appear on the market. High frequency detecting is suddenly in vogue for more than just gold nugget detecting. The one thing obvious now about the Makro / Nokta partnership is that they never sit still, but continue to work on and release new models at a pace that puts all the other manufacturers to shame. The companies are also big believers in seeking public feedback and then implementing the suggestions to create better products for their customers. This is readily apparent in the progression I have personally witnessed in going from that original Nokta FORS Gold to the new 61 kHz Makro Gold Kruzer just now hitting the market. In less than four years the company has gone from “catching up” to meeting or surpassing detectors made by other companies. The Makro Gold Kruzer has a full suite of functions, is fully waterproof, incorporates built in wireless headphone capability, and can be firmware updated over the internet. That short feature list alone puts the Makro Gold Racer in a very select group of detectors offering those same 21st century “basic features” that were lacking in almost all detectors made in the last century. The Makro Gold Kruzer obviously builds on the Gold Racer feature set with the following key differences. The Gold Racer runs at 56 kHz and the Gold Kruzer at 61 kHz, one of the highest frequencies available in consumer metal detectors. This continues the focus on detecting small low conductor targets. The Gold Kruzer is waterproof to 5 meters (16.4 feet) whereas the Gold Racer is not waterproof at all. Finally, the Gold Kruzer adds a three tone hunt mode, taking things up another step from the dual tone modes available on the Gold Racer. Now let’s look at the Makro Gold Kruzer in detail. Makro switched things up in that the Gold Kruzer comes with two coils, a 5.5” x 10” concentric coil, and a 4” x 7.5” DD coil; both include scuff covers. The 5.5” x 10” concentric coil, which was an option offered for the Gold Racer, has been redesigned and cut from 1” thick to ¾” thick and the weight reduced to 384 grams (13.5 oz). The coil is hollow and therefore slightly buoyant, so the 25% reduction in thickness is quite welcome in reducing that buoyancy to where it is basically unnoticeable underwater. The little 4” x 7.5” DD coil is a solid epoxy filled coil which works extremely well in smaller coils where epoxy filling does not result in too much weight. The small DD coil weighs 368 grams or 13.0 oz. There is one accessory coil available at this time, a 5” x 9.5” epoxy filled DD. This coil weighs 14.3 oz or 404 grams. It should be noted that because of the frequency change and with the Gold Kruzer using waterproof connectors, that Makro Gold Racer coils will not work on the Gold Kruzer. Makro has also learned lessons as regards coil ear durability. The coil ears on the Gold Kruzer are about twice the mass of those on my older Makro Gold Racer. Taller, wider, and thicker – these extra beefy coil ears should all but eliminate breakage issues. The Makro Gold Kruzer employs a fairly standard “detector pod on an S rod” design forgoing the underarm battery box used on the Gold Racer. This confers a large advantage when it comes to waterproofing the detector in that only the pod has to be sealed. The change from AA batteries to a built in sealed LiPO rechargeable battery also aids in eliminating battery doors, which are always at risk of leaking. The three piece S rod itself is quite stout with no flex or wiggle. The cross hatch carbon fiber lower rod is not only strong, but lends an air of high tech quality to the look of the detector. The Gold Kruzer does not have the separate underarm battery compartment and in handle vibration mechanism featured on the Makro Gold Racer. This means the pod is totally self contained and can be removed from the handle assembly. This in turn allows for other rod options and the ability to break the detector completely down fitting in a small backpack or carry on bag. When the stout rod is combined with the beefed up coil construction you have a design that should survive those spills a person can take when working in the surf and there the detector ends up acting like a walking stick for support. It has been interesting to watch the company experiment with different handle designs. It is a thankless task because you never can please everyone. For me at least the handle / rod may be the best yet from Makro, with a molded hard rubber grip that will serve very well for a detector that may see underwater use. I personally found the Nokta Impact handle to be large for my hands and the smaller Gold Kruzer handle near perfect. Others may feel just the opposite so there you go. The arm cuff is a little different. It is narrower than some – good for me but maybe not so much for somebody with huge forearms. The adjustment is non-standard, with the arm cup sliding up and down the upper rod over a set of threaded holes. A small screw inserted into the top of the armrest and into one of these threaded holes secures the armrest in place. A unique feature on the Gold Kruzer is an optional external AA battery pack that can provide extra operating time in the field should the internal rechargeable battery go dead. The pack is designed to be held into the bottom of the detector armrest / stand by a separate plastic cover bracket that is held in place with two screws. I found the holes these screws go into will fill with sand if this bracket is left off, so I advise installing the bracket even if the external battery pack is not in use. The external battery pack with bracket is an option and so dummy screws or plugs should be installed to keep the screw holes clean and free of debris by those who down not have the bracket. I don’t think most people will ever need the external battery pack as long as the detector is regularly charged after use. It is a very nice touch however, especially for off grid use, as all you need is the external AA battery pack and a box of AA batteries to off grid for as long as the batteries will last. Some people may want the optional battery pack for travel into the field just in case the battery runs short on power in the middle of a hunt. The port where you attach the external battery pack also acts as a port to attach a USB style charger cable. The detector is charged using this cable by employing the included USB wall charger. You may also use most USB charging adapters and newer computer USB ports. The USB cable also allows the Makro Gold Kruzer to be attached to a computer so that updates can be made in case any bugs are found in the future. This update feature is very nice insurance that should be standard on all new detectors. Another item that should be standard on all new detectors is built in wireless headphone capability. Makro uses a proprietary low latency system that exhibits no discernible lag at all. A really nice thing about being proprietary is there is no pairing process. All you have to do is enable the wireless feature on the control box, turn on the headphones, and boom, you are in business. The downside is you only have one choice of headphones – the included Makro wireless headphones. These are a nice, light set of phones but they are just a bit too small to fit over most people ears. I have fairly small ears and they still rest on instead of over my ear. The sound quality is good, but like most wireless headphones they seem less “bright” than wired headphones. All in all the wireless headphones are quite good however and a pleasure to use. The Makro Gold Kruzer does have a waterproof speaker with decent volume that can be used instead of the wireless headphones. If you prefer other headphone options, be sure and get the optional waterproof port to ¼” headphone adapter cable. This cable attaches to the same port used for charging and software updates and allows any wired headphones to be adapted to the Gold Kruzer. The LCD display is well laid out with a very large target id number displayed. The other setting indicators might be a little harder for those with poor eyesight to make out, but should present no issues once the layout is learned. One big change from the Gold Racer is that the four large navigation buttons, trigger switch, and rotary dial power / volume switch have all been replaced by ten small buttons on the control panel. All the buttons can be reached and controlled by the operators thumb, but the small size and closeness of the buttons may make for some navigation errors early on, and especially when trying to change settings underwater or with gloves on. The Makro Gold Kruzer User Manual is available for download so I will refer you there for all the little details. What you have in the Makro Gold Kruzer is a hot 61 kHz metal detector waterproof to 5 meters (16.4 feet). The Gen (General) mode is a fairly standard VCO audio all metal gold nugget detecting circuit. The Gold Kruzer in Gen mode is very reminiscent of other hot gold nugget detectors running in the all metal prospecting mode. The Gen mode acts exactly like one would expect a threshold based all metal mode to function. There is a nice smooth threshold that gives feedback about the ground and reacts to hot rocks with classic nulling signals and small nuggets with that classic “zip-zip” VCO audio. Voltage Controlled Oscillator (VCO) audio increases both in volume and pitch when a target is detected, giving a distinct response very common on many gold detectors. The only thing different here is that since the Gold Kruzer has an LCD readout; you can get target id number results while running in all metal Gen mode. The audio is far more sensitive than the meter however, so do not be surprised if the deepest and smallest of targets give no target id information. In a break with the Gold Racer the Fast and Boost modes are not dual tone modes, but instead are silent search (no threshold) single tone modes. Items either signal audibly or not based on the current discrimination settings. The discrimination setting, like that of the Gold Racer, is a simple up and down control. Everything above the setting gives an audio signal of “beep”. Anything below the discrimination setting level is rejected or ignored with no sound at all. The Gold Kruzer has no notching capability i.e. the ability to pick and choose individual target id numbers for rejection. Fast mode is just what it sounds like – a fast setting for working in really dense trash. Target recovery speed has been increased at the expense of outright depth, but sheer depth is useless where target masking is the main problem. Boost mode is exactly the opposite. Boost is the deepest discrimination mode on the Gold Kruzer but due to the increased sensitivity is more suitable for less mineralized ground and sparser targets. It should be obvious that the Makro Gold Kruzer is all about gold. This explains the shift from dual tone to monotone audio in the Fast and Boost. Dual tones as employed in the Makro Gold Kruzer can be problematic when hunting the smallest gold targets, especially in highly mineralized ground. It is hard for a detector to get a clean separation of ferrous and non-ferrous targets when the targets are very small. This is because the actual dividing line between ferrous and non-ferrous is not a line at all, but a zone. The Makro Gold Kruzer uses a fairly standard discrimination scale that ranges from 0 – 99. The range from 0 – 40 is considered to be the ferrous range, and 41 and above non-ferrous. Yet the discrimination default for both the Fast and Boost modes is 25. This is because if you bury small gold in highly mineralized ground or large gold extra deep in mineralized ground, the ferrous ground signal can overwhelm the very weak non-ferrous signal. It really is not about the object size. A deep large nugget is a very weak signal just the same as a shallower small nugget, and either can end up reading as a ferrous target. The solution is to lower the discrimination setting into the ferrous range and accept that you have to dig some ferrous items to get all the gold items. This actually applies to any metal detecting. If you dig absolutely no ferrous trash, you are almost 100% guaranteed to be passing up some non-ferrous items reading incorrectly as ferrous. This can be acceptable of course depending on what you are doing, but passing on a deep six ounce gold nugget because it reads ferrous can be an expensive mistake. The Gold Kruzer default discrimination setting for Fast and Boost is 25 instead of 40 for this very reason. Dual tones have issues for this same reason, with decisive results on the weakest targets difficult if not impossible to obtain. The difference is quite small, but monotone is slightly more stable and proficient at working with the tiniest and faintest of signals right at the dividing line between ferrous and non-ferrous, wherever you have set the control to tell the Gold Kruzer where that line is for your particular situation. There is no pat answer as the where to set the discrimination control. It is a judgment call based on experience, but when in doubt, use less discrimination and dig more trash. Welcome to gold detecting! The Makro Gold Kruzer has a new control that relates to this overlap between ferrous and non-ferrous readings. The Extra Underground Depth (E.U.D.) control acts to directly impact the tipping point between ferrous and non-ferrous readings. The E.U.D. control only works in one of the three discrimination modes and when used on a suspect target that is reading ferrous may reveal by a different tone that it is actually non-ferrous. It is noted in the manual that it can reveal some targets misidentified as ferrous, but it will also give more false positives on ferrous targets. What? You say you wanted tones? Well, the Makro Gold Kruzer has you covered. The new Micro mode is a three tone mode similar to that on other company models, but running at that hot 61 khz. The 0 – 40 target id range produces a low tone. The 41 – 66 range produces a medium tone, and 67 – 99 range a high tone. Micro mode allows the “ferrous break point” to be adjusted. This is that magic point where you decide what is going to read as ferrous and what reads as non-ferrous. Note that unlike the Fast and Boost modes, the default ferrous breakpoint is set at 40 instead of 25. This is good for coin type detecting but again may be too high for other types of detecting. While in Micro mode you may use the Tone Break control to vary this all important setting. You could mimic the other two modes by setting the Tone Break at 25. Now 0 – 25 will be a low tone, 26 – 66 a medium tone, and 67 – 99 a high tone. Tone Break can only be used to set the ferrous breakpoint. The upper high tone region of 67 – 99 is preset and fixed by the factory with no adjustment possible. You may use the Ferrous Volume setting to control how loud the low tone response is. The medium and high tone responses are set with the main volume control. The discrimination control still functions in Micro mode, with a default setting of ten. Hot rocks and ground responses occur this low on the scale, and so having at least some of the low end blocked or rejected with reduce the number of low tone responses generated by the ground itself. The control can be set as high as you want and will override the other settings, blocking all targets below the desired target id setting. The Makro Gold Kruzer does have a tone control, but it does not allow the tones to be changed in Micro mode. Those are factory preset, with the Tone Break between ferrous and non-ferrous plus Ferrous Volume as the two adjustments you can make. The Tone setting allows the tone of the audio response and threshold to be changed in Gen, Fast, and Boost modes only. Micro was designed first for hunting micro jewelry. Micro jewelry is a loose term that applies to all very small jewelry items, like very thin chains, single post earrings, tie tacks, etc. Micro is perfect for hunting tot lots and beaches and focusing on the “gold range” targets represented by the mid tone reading in Micro mode. Many jewelry hunters consider digging coins a waste of time, and so ignoring high tones can save digging pocket change when the real goal is a woman’s diamond and platinum ring. The Makro Gold Kruzer has a nominal non-ferrous range of 41 – 99 which is a 59 point spread. Normal U.S. coin responses are 63 for a nickel, 83 for a zinc penny, 84 for a copper penny, 86 for a clad dime, and 91 for a clad quarter. The high 61 kHz operating frequency acts to push target id numbers higher and most coins will respond at 83 and higher. I was surprised a zinc penny and copper penny for all intents read the same. The good news is the low conductor range is expanded, which offers the ability to help discern different pull tabs and other trash items over a wider range. This in turn may help eliminate at least a few pesky trash items while hunting gold, although ignoring gold range items of any sort can be risky. Still, with a U.S. nickel reading at 63 and most women’s rings reading under the nickel, you get the 40 – 63 zone as a 23 point range where much of the most valuable jewelry will turn up. The default high tone breakpoint of 66 – 67 is clearly focusing the Gold Kruzer mid-tone on this very important gold range. Do note that large men’s rings and nearly all larger silver jewelry will read above 66 and therefore give a high tone reading. The Gold Kruzer has some obvious applications but there are a couple catches. First, it is running at 61 kHz, which means it is very hot on low conductors, but that it will have just adequate performance on high conductors like silver coins. Second, its extreme sensitivity to low conductors means it will not work well if at all in saltwater or on wet salt sand. Saltwater is a low conductor and will respond quite strongly on the Gold Kruzer, and getting it to not respond to saltwater gives up all the sensitivity to small gold. The Gold Kruzer will work very well around freshwater or on dry sand, it is not intended as a detector for use in or near saltwater. I would suggest the new Makro Multi Kruzer as an alternative to those who want to hunt in and around saltwater on a regular basis. There are many features I could delve into but at over six pages this report is getting long, so I will again refer people to the User Manual for the details. Suffice it to say that the Makro Gold Kruzer has a full set of features like frequency shift for reducing interference, temporary audio boost for the Gen all metal mode, adjustable backlight, and the ability to save settings when the detector is powered down, and more. I got the Gold Kruzer prototype during a period when I was quite busy and the weather was not helping. I did have time to do a few tot lot hunts plus make a trip to the goldfields to evaluate the machine. The Gold Kruzer is well behaved in urban locations, with only a little static from electrical interference sources. I found the new Micro mode to be just the ticket for quickly blasting through a tot lot recovering prime gold range targets. I dug everything as is my practice when learning a detector, and ended up with the usual pile of aluminum foil, junk jewelry, and coins. Nothing special found but no doubt in my mind that the Gold Kruzer acts as intended in this type of setting. There were no surprises in the goldfields. At 61 kHz and in Gen mode the Gold Kruzer is a real pleasure to run, with all the response and nuance one expects from a great threshold based all metal circuit. Boost Mode also works very well as an alternative for small nugget detecting. I had no problem at all finding a couple little bits of gold weighing under a grain (480 grains per Troy ounce) on my first and only nugget hunt so far with the Gold Kruzer. To sum up, the new Makro Gold Kruzer once again ups the ante at Makro. It comes standard with two coils and is fully waterproof for about the same price as the Makro Gold Racer so I would have to assume the Gold Racers days are numbered. The one thing I am not sure about at this time is that the Gold Racer has a 15” x 13” DD coil option. The Makro Multi Kruzer has the 15” coil option, but no such accessory has yet been announced for the Gold Kruzer. This is probably not a concern for very many people, but it bears mentioning. I have no problem at all recommending that anyone interested in a detector with a focus on gold take a very serious look at the new Makro Gold Kruzer. It’s performance on low conductors of any type means that the Gold Kruzer is not just for prospectors and jewelry hunters but may also see favor with some relic hunters who focus of low conductor targets like buttons and bullets. This is a solid detector with 21st century features at a very attractive price. When Minelab started developing our EQUINOX detector, we looked very closely at all of the current market offerings (including our own) to reassess what detectorists were really after in a new coin & treasure detector. A clear short list of desirable features quickly emerged – and no real surprises here – waterproof, lightweight, low-cost, wireless audio, and of course, improved performance from new technology. This came from not only our own observations, but also customers, field testers, dealers and the metal detecting forums that many detectorists contribute to. While we could have taken the approach of putting the X-TERRA (VFLEX technology) in a waterproof housing and adding a selectable frequency range, this would have been following the path of many of our competitors in just rehashing an older single frequency technology that had already reached its performance limits. Another option would have been to create a lower cost waterproof FBS detector, but that also had its challenges with FBS being ‘power hungry’, needing heavier batteries, heavier coils, etc., and relatively high cost compared to the more recent advances that our R&D team have been making with the latest electronics hardware and signal processing techniques. When Minelab develop a new detecting technology we aim to create a paradigm shift from existing products and provide a clear performance advantage for our customers. The multi-frequency broad band spectrum (BBS) technology that first appeared in Sovereign detectors in the early 1990’s provided an advantage over single frequency coin & treasure detectors. This evolved into FBS with Explorer, all the way through to the current CTX 3030 (FBS 2). The multi-period sensing (MPS) PI technology that first appeared in the SD 2000 detector in the mid 1990’s gave a significant advantage over single frequency gold detectors. This key technology exists in the current GPX Series detectors today. Zero Voltage Transmission (ZVT) is our latest gold detection technology implemented in the GPZ 7000 and is a recent example of Minelab’s continued innovation beyond ‘tried and true’ technologies to achieve improved performance. Further to our own consumer products, our R&D team also has significant experience working with the US and Australian military on multi-frequency technologies for metal detection. What actually is Multi-IQ technology? What does the name stand for? What frequencies does it use? Is “Multi” the same or different for the various Detecting Modes? Is Multi-IQ the same or different for EQUINOX 600 and EQUINOX 800? Why use a single frequency? How does EQUINOX perform in certain environments? How does EQUINOX perform compared to other Minelab detectors? How does EQUINOX perform against other brand detectors? These are some of the myriad of questions we have seen since we published our EQUINOX Product Notice in mid-September. Some of the answers will have to wait until Minelab publishes reports from our field testers and/or you get your own hands on a detector to try yourself. In the meantime, let’s look further into the aspects of Multi-IQ technology. “How many simultaneous frequencies?” you may ask, wondering if this is a critical parameter. Minelab has been carrying out detailed investigations into this in recent years. Just as you can color in a map with many colors, the minimum number to differentiate between adjacent countries is only 4 – a tough problem for mathematicians to prove, over many years. Similar to the map problem, it’s perhaps not the maximum number of frequencies needed to achieve an optimum result, but the minimum number that is more interesting. When it comes to frequencies in a detector, to cover all target types, how the frequencies are combined AND processed is now more important, with the latest detectors, than how many frequencies, for achieving even better results. Our goal was to develop a true multi-purpose detector that could not only physically be used in all-terrain conditions, but also be suitable for all types of detecting for all detectorists, and particularly those not requiring a specialist premium flagship detector optimised for only one aspect of detecting – e.g. coins, beach, gold, jewelry, water, discrimination, artefacts, etc. This multi-purpose requirement is something that could only be achieved by going beyond single frequency and creating the next generation of multi-frequency technology. Equally adaptable to all target types and ground conditions – just select your detecting location and go! Previously we have stated that Park, Field and Beach would run in multi-frequency and that Gold would only use the single frequencies of 20kHz and 40kHz, giving better results for gold nugget hunting. Our ongoing collaborative field testing feedback from around the world has resulted in further improvements to Multi-IQ to the point where multi-frequency is now the best option for Gold Mode as well, and will be the default setting. Please refer to the revised Getting Started Guide for updated product functions. Now, back to the technology: looking into our Multi-IQ diagram further… a single frequency is most sensitive to a narrow range of targets and multiple frequency is equally sensitive to a wider range of targets (e.g. the orange curve versus the white curve below). While we could delve into this aspect further, many of our readers are likely more interested in what happens within the white Multi-IQ band itself, rather than single versus multi. What has Minelab developed new, and uniquely, with frequencies to give better performance across the whole range of targets for different conditions? The Multi-IQ transmit signal used in EQUINOX is a complex waveform where multiple frequencies are combined in a very dissimilar way than our proven BBS/FBS technology in Excalibur II / Safari / E-TRAC / CTX 3030 detectors. Hence – Multi-IQ is not a derivative or evolution of BBS/FBS. Multi-IQ is a DIFFERENT method of simultaneous multi-frequency metal detection. We could also debate “simultaneous” versus “sequential” semantics; however the real detection ‘magic’ doesn’t happen with what is transmitted to and received from the coil alone. Remember, in Part 2, we discussed how frequencies are “combined AND processed” as being important for achieving better results? So, an important goal with developing Multi-IQ technology was to retain the above simultaneous multi-frequency advantages AND greatly improve performance in the two key areas where many single-frequency detectors typically excel – fast recovery in iron trash and finding low conductors in all conditions. Let’s start with considering signal processing not as a ‘black box’ where ‘magic’ happens, but more as a complex chain of applied algorithms, where the goal is to more accurately distinguish very small good target signals from ground noise, EMI and iron trash. Now, ‘fast’ by itself is not enough – you can have fast with poor noise rejection and poor target identification, giving no great advantage. Fast is also not just a result of microprocessor speed. Processors operate at much higher speed than is needed to ‘do the signal processing math’. You can think of the signal processing chain broadly as a set of filters and other processes which are applied to the metal detector signals to convert these signals into useable, informative indicators, such as an audio alert or a target ID. For Multi-IQ, keeping the ‘good’ properties of these filters, while keeping them lean and removing unnecessary processing, was an important step towards achieving ‘fast’ for EQUINOX. It’s also important to recognize that these filters are not the coarse filters of the analogue electronics hardware of last century – it all happens in software these days. Perhaps think of the older analogue TV standards versus current digital TV. (Standard digital HDTV has approx.10 times the resolution of analogue NTSC.) With metal detectors, a fast higher resolution filter set will result in improved target recognition. All transmit-receive detectors produce in-phase (I) and quadrature (Q) signals that can be processed in various ways depending upon the response received from targets, ground and salt. This processing happens through ‘channels’ that have different sensitivities to the different signals received. It is important to recognize that channels are not exactly frequencies. This is why it is more complex to explain than just correlating optimum frequencies to specific target types. With a single frequency detector there are two basic channels for information (i.e. I and Q) that respond differently to good and bad signals, depending upon the frequency of operation and whether you are looking the the I or Q signal. It is also possible to scale and subtract these signals, while taking ground balance into account, to best maximize good signals and minimize bad signals. You could thus think of single-frequency being Single-IQ, with a limited set of data (e.g. I, Q, I-Q, Q-I) that works well for a particular set of conditions. To further enhance performance for a different set of conditions, you need to change frequency and detect over the same ground again. Therefore a selectable single frequency detector has an advantage with more data available, but not all at once (e.g. I1, Q1, I1-Q1, Q1-I1 OR I2, Q2, I2-Q2, Q2-I2 for as many frequencies that you can select from). Now, getting back to Philip Beck’s “more data-points”, and just looking at two frequencies, a simultaneous multi-frequency detector would be able to process (for example) I1, Q1, I1-Q1, Q1-I1 AND I2, Q2, I2-Q2, Q2-I2 AND I1-Q2, Q2-I1, I2-Q1, Q1-I2 to give better detection results. Increase the number of frequencies further and the number of extra data-points also increases accordingly. What Multi-IQ does is process different optimized channels of information (not just individual frequencies) for the different modes. We have previously explained this as “frequency weighting” (in Part 3), where the various EQUINOX Search Profiles are matched to the respective ground conditions and target types. Channel 1 has a strong target signal, but the salt signal is stronger still. Channel 2 has weaker signals for soil, salt and the target. If the detector just responded to either Channel 1 or Channel 2, the target would not be heard through the ground noise. If the detector processes a subtraction of the channels (e.g. ch.1-ch.2), then it is possible to ignore the ground noise and extract a strong target signal. Now, think back to the high number of possible combinations of I and Q for simultaneous multi-frequency compared to single-frequency and the frequency weightings for the modes. All of the EQUINOX Park, Field, Beach and Gold Search Profiles have dedicated signal processing to best suit the conditions and types of targets being searched for. Just as targets are more sensitive to certain frequencies, so is the ground – an important reason why air testing has inherent limitations when comparing detector performance. As soon as you have ground to consider in the signal processing equation, it can greatly impact on the ability of a single-frequency detector to accurately identify a target. Also, the deeper a target is buried, the weaker the target signal is, relative to the ground signal. The most difficult ground response to eliminate is the salt response, which varies greatly between soil, dry sand, wet sand and seawater. It is not possible to eliminate the salt response and the soil mineralization response (e.g. black sand) with just one frequency. However, within the carefully calibrated Multi-IQ channels, EQUINOX is able to identify both signals and therefore mostly ‘reject’ them (just as you would notch discriminate an unwanted target) BUT still detect gold micro-jewelry. The above article is a compilation of a series of blog entries taken from Minelab's Treasure Talk. More will be added here as available.